The phone makes its best efforts to adopt some of 2018’s biggest mobile trends, including an extended screen with a camera notch and rounded corners, as well as the latest release of Android Pie, plus Huawei’s most recent Emotion UI dressing on top. Some of the corners the company has had to cut to keep this handset affordable, however, they might also make you think twice, considering what else is out there. The first thing that struck me when seeing the back of the P Smart was how it reminded me of phones like Xiaomi’s recently-launched flagship, the Mi Mix 3, and that’s a good thing too, as the company describes the body of the P Smart 2019 as delivering a “ceramic-like finish”. Like the Mi Mix 3, which uses an actual ceramic back, the P Smart’s glossy black rear (it’s also available in Aurora Blue and Sapphire Blue) offers the same silvery reflective quality as the real thing. Touch or press against it, however, and you’ll immediately see through the phone’s ruse – this is a plastic-backed device and as such it doesn’t feel all that premium to wield. Not to mention the immediate adoption of smudges and fingerprints that appear from even a moment’s handling. Materials aside, the rounded form gives the P Smart a cute, compact appearance – despite its size. There’s a centrally positioned rear fingerprint sensor that’s nice and snappy, and lets you summon the notifications tab with a swipe, while the main dual camera sits, tucked up in the top left corner, not unlike Apple’s iPhone X and XS lines. One of those key 2018 mobile trends was the rapid adoption of extended displays, a trait kicked off by the likes of the Samsung Galaxy S8 a year earlier. The 6.21-inch IPS LCD on the P Smart sports a long 19.5:9 aspect ratio, so despite granting you sizeable screen real estate, the phone isn’t nearly as wide as it would be if Huawei had stuck with a more traditional 16:9 aspect ratio. This “FullView” display gives the phone a tall, slim appearance. It’s nice to wield in one hand and the company has even managed to keep the bezels fairly svelte too; not a guarantee where affordable smartphones are concerned. There’s still an undeniable ‘chin’ of bezel running the bottom edge of the handset, while the top is where you’ll spot a notch. The “Dewdrop” display became a standard element among Huawei’s 2018 smartphone lineup and the P Smart 2019 carries that detail straight through into the new year. Despite Huawei’s rather elegant description, citing it as “pearl-shaped”, the notch juts out into the display real-estate far more aggressively than the likes of the OnePlus 6T‘s more gradual take.Even so, it’s small and unobtrusive enough that it won’t mess with the interface of apps all that much and if you do run into an incompatibility with third-party software, you have the option to scale apps back to better fit within the dimensions of the screen without the notch encroaching at all. Huawei has been trickling AI-enhanced smarts down throughout its product portfolio for a little while now and even the humble P Smart, thanks in part to the Kirin 710 processor inside, now also boasts AI scene recognition that’s able to distinguish between 500 unique scenes, divvied out across 22 categories. Just how much of an effect these AI-controlled settings adjustments have on a shot appears to vary based on the scenario in question but unlike pricier handsets, such as the Mate 20 Pro, I prefer to have AI shooting switched on when using the P Smart’s cameras. P Smart brings the same Kirin 710 processor found inside the Lite to the table. Despite being paired with only 3GB of RAM (a relatively paltry amount for an Android phone in 2019), it’s perfectly well-equipped for your everyday smartphone needs. What’s more, thanks to some optimisation from Huawei, the GPU Turbo 2.0 update also means the P Smart delivers a decent enough gaming experience on titles that I would have assumed would have been above this phone’s capabilities. The 2019 P Smart comes with Android 9 Pie out of the box, although as ever with Huawei phones, it’s coated in a sheen of the company’s own Emotion UI software overlay. This isn’t half as objectionable as it used to be, but it’s one area where both Nokia and Motorola have the edge, as both offer almost pristine Android experiences, only a little short of the pure experience found on Google’s own Pixel phones. 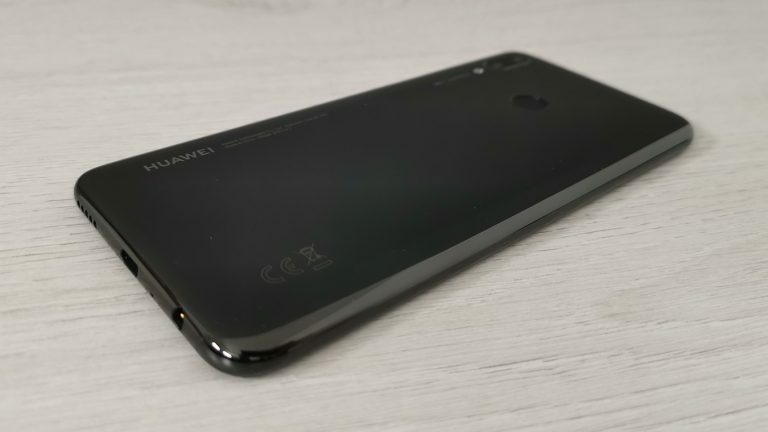 Android 9 Pie should be the standard for new smartphones by now and Huawei is doing their part. 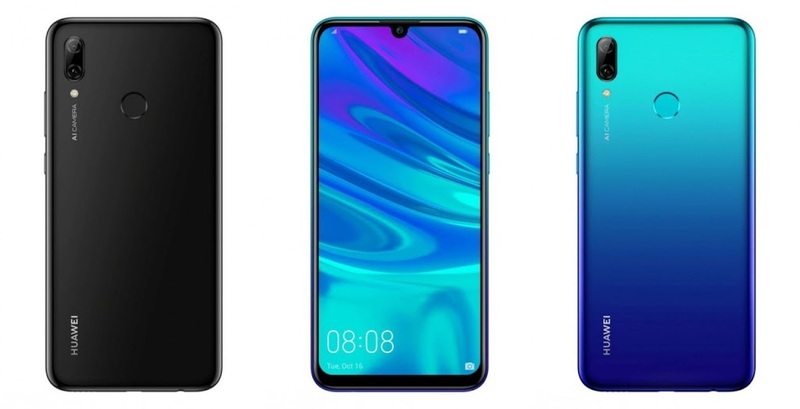 The P Smart 2019 not only comes with the latest Android version and security patch (November 2018) out of the box, but also Huawei’s EMUI 9. The user interface still looks a little bit strange, but it offers a variety of functions and can easily be adapted to your own taste. If you miss the App Drawer and don’t want to put all your applications on the Home screens, you can switch the view in the system settings. Huawei’s Emotion UI overlay is far less bloated and far more user-friendly than it used to be but it still makes for a notable departure from stock Android EMUI 9.0.1 as it appears on the P Smart offers customisation over everything from home screens and animation behaviour, to automated power on/off times, plus there are some intriguing new additions that may hold value for some users, although I suspect their appeal will be niche. The new P model is powered by a Kirin processor from Hisilicon, a Huawei subsidiary. The Kirin 710 has eight cores and reaches a maximum clock speed of 2.2 GHz. However, there is no separate NPU like on the Kirin 980. The processor is supported by 3 GB of RAM. Humble hardware and a large battery are often an appealing pairing and such a combination stands the P Smart 2019 in good stead, as far as longevity is concerned. Despite offering a (conventionally less efficient compared to OLED) Full HD LCD, in real-world testing, the P Smart is capable of up to two days of usage per charge. The smartphone runs quite fast, but does not come close to the performance of more expensive and powerful smartphones. Complex games or high-resolution videos are not the focus here either. The Huawei P Smart 2019 takes care of the everyday tasks without any problems, even if apps sometimes need a few seconds before they start. Photos, music, apps and other data are stored on the 64 GB internal memory. Those who need more can get by with a microSD card. The new memory card format, Nano Memory Card, is currently only used on high-end Huawei devices. Huawei P smart 2019 is priced for N95500 in Nigeria.